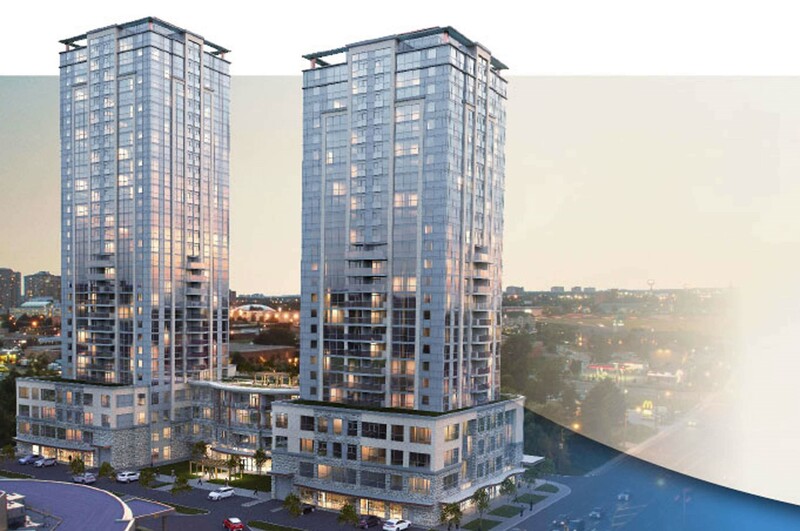 Trinity Ravine Towers Condos is a new pre-construction Condo project located at 1250 Markham Road In Scarborough Toronto. The Project including condos units, Retail Shops. Developed by Global Kingdom Ministries. This is a 30-storey tower building with total 448 Units. Ground Floor: 24/7 Concierge, Library & Lounges, Movie/Media Lounge, Mail Room, Private Dining Room, commercial Kitchen, Workshop, Craft Room, Meeting/Common Rooms, Fully Equipped Fitness Centre, Wellness Centre, Beauty Salon & Convenience Store and Coffee Bar. Trinity Ravine Towers Condos has a Walk Score of 77 out of 100. Transit score of 74 out of 100. This location is in the Woburn neighborhood in Toronto. Nearby parks include Confederation Park, Densgrove Park and Botany Hill Park. Trinity Ravine Towers is more than just an address – it is a community designed for you to live life to its fullest. Here you will be able to take advantage of the exceptional amenities, spacious suites and quality standard features tailor-made to meet your social, spiritual, recreational and future health needs. We intend to help seniors to age well within a faith-based culturally diverse community. From 667 sq. ft. To 1453 sq. ft.